Please welcome Gordon E Tolton, an author with a fascination for history and an ability to bring it to life in his novels. 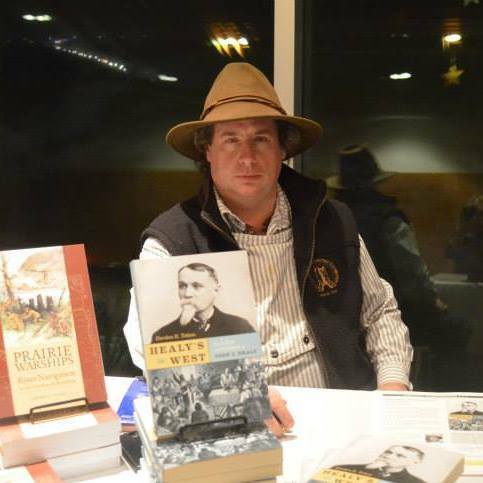 My first book “The Rocky Mountain Rangers” actually began as research for a living history project or organization. I wanted to form a re-enactment group based on the historical military unit. While I did manage to join such a group, and two groups did organize under that name to an extent, I found myself immersed in the research of the pure history. That research led me into the publication of a historical paper as a book, and led me into even more historical research. 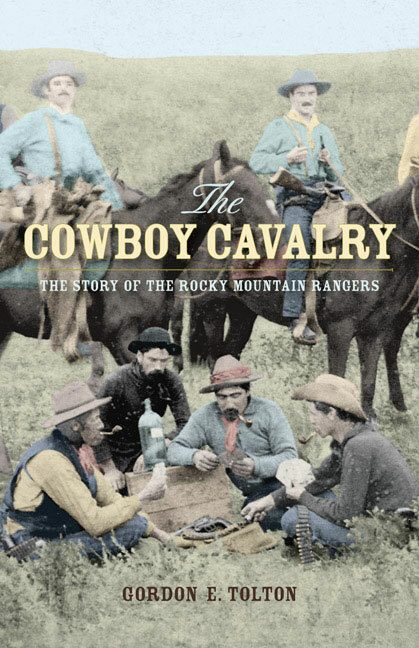 “The Rocky Mountain Rangers” was self-titled based upon the historical subject. I have four more books in various stages of production. Just to awaken the sense of relevance of history to people’s lives. All of my books are highly researched, and only my conclusions are creative, though based on hypothesis. 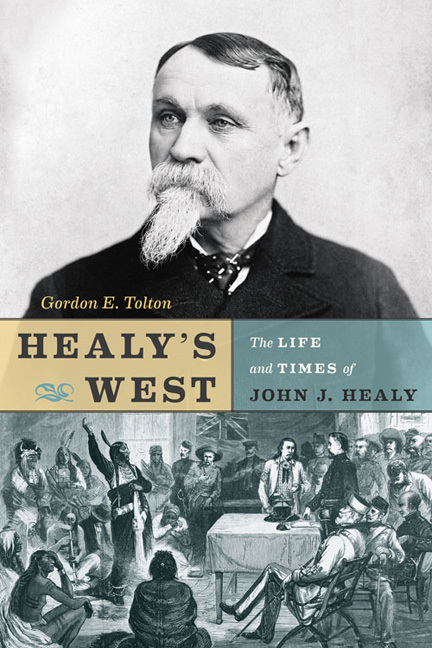 The latest book, Healy’s West, I obviously could not have known personally. However, I have found myself close enough through the study of writings, character sketches and historical context, have come to know almost through a sense of channelling. I would wish to make it a larger book, with more room to expand on subjects that I had to compress, and more room for photographs. I just want people to be able to look at a location, or a place, an institution, or a piece of geography – and understand that there was a time before their lives. The research, and the gathering of materials into a cohesive chronology and form. Never say never, but I doubt I would ever write any fiction. Getting through the very thick works of eastern American historian Allan Eckert, primarily working on That Dark and Bloody River. Peter Stark has a book called Astoria: Astoria: Astor and Jefferson’s Lost Pacific Empire: A Story of Wealth, Ambition, and Survival. He covers a historical tale in a very interesting and comprehensive way, with an engaging writing style. Yes, but it is very challenging. Unless sales take off unexpectedly, I will likely never support myself as a royalty author. I will always have to look to outside employment, grants, and commissions in order to do what I want to do. Very likely, still doing what I am doing, but hopefully, with a slightly larger profile that will give me a certain level of safety in continuing the process of writing and researching. I may even get to the point where I have more research than I know what to do with, and can target book projects to specific markets. Distractions, and self-discipline; the volume of material to get through, maintaining travel and justifying the expenses in the research aspects of the process. No matter what your market is, no matter how good your representation is, the author is his/her own best sales person. People want to connect with the creator, and want to understand their process. The author needs to push their product as if it was any other, find their niche, and promote themselves to the media, libraries, book stores, and any other venue that can be related. In my case, I have also promoted my product to museums, historical societies, and even at local farmer’s markets and cowboy poetry events. I am still working in history. The next is of a small railroad company that aided in developing the settlement of southern Alberta and northern Montana. I do not yet have a publishing contract for this. 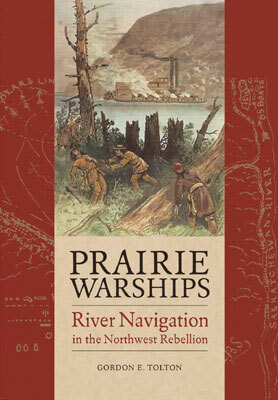 Other than the above, I have books on the go regarding the early buffalo fur trade on the prairies; a political history of Alberta, regarding the farmers movement in the post-World War I era into the depression; the impact of Lewis and Clark expedition on Canada; and a book on the defense of the north-west coast of Canada and the United States during the Second World War. I haven’t read the book yet, but in “Healy’s West: The Life & Times of John J. Healy”, he mentions Francois Vielle. I believe that Francois Vielle married a Blackfeet woman by the name of Many Antelope Woman. They had a son named John Vielle. One of John and Mary Vielle’s daughters was named Isabelle. I’ll get this book for sure. Thank you for dropping by and following. It is really appreciated. I will let Gordon know your comments, I’m sure he will be very interested. Thanks for commenting, Michael. Hope you enjoy the book. The Vielle descendants are now found on the Piikani nation at Brocket, Alberta, in case you wanted to know. Awesome! I have some distant cousins across the border! I’m on the Blackfeet Indian Reservation in Montana.